US equity indexes closed moderately higher, sp +4pts @ 2187. The two leaders - Trans/R2K, settled higher by 0.5% and 0.7% respectively. 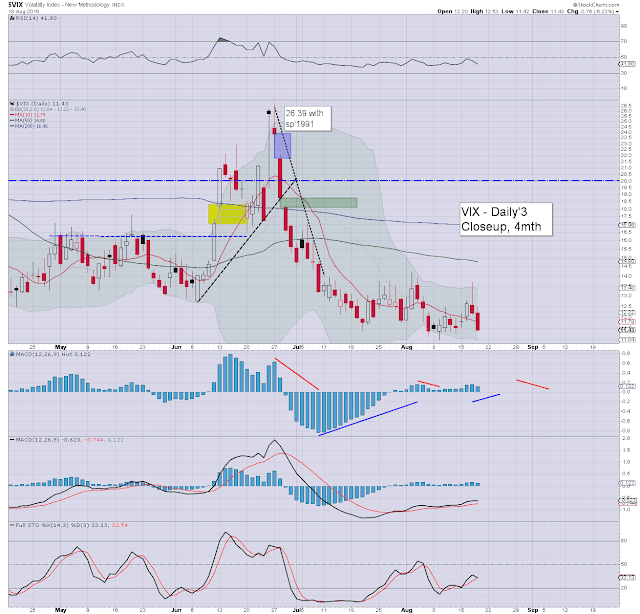 VIX settled -6.2% @ 11.43. 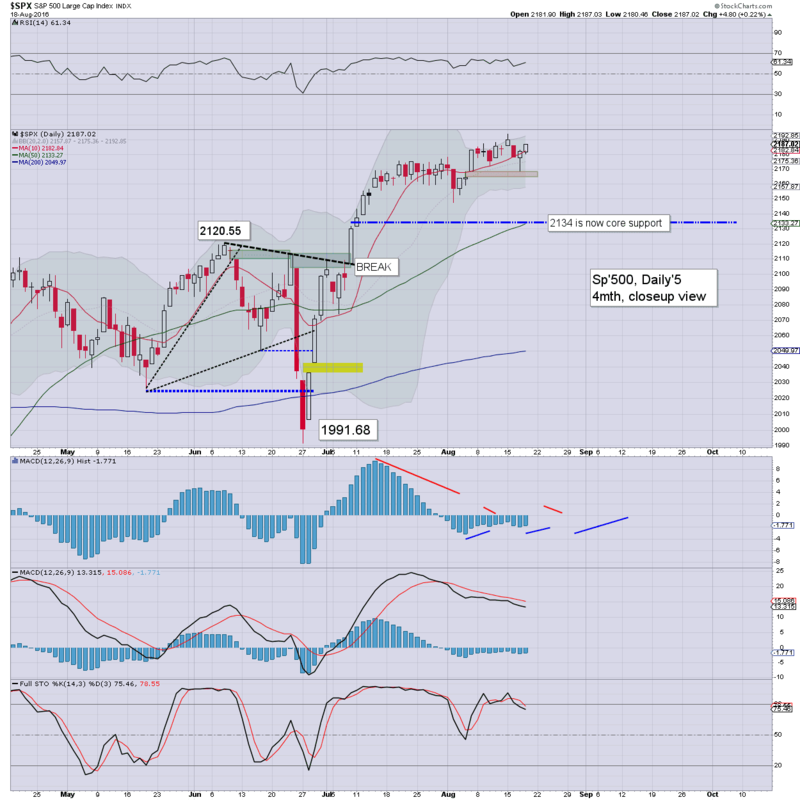 Near term outlook offers further upside to the 2190s... with the 2200s highly probable before end month. There is very little to note on today. Merely minor equity price chop, with a VIX that is already back in the 11s. 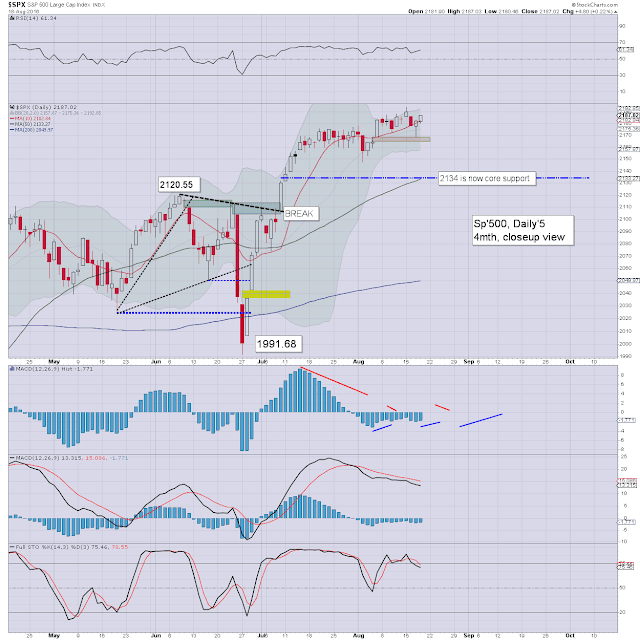 The 10s look probable if sp'2200s. Single digit VIX seems likely (we've not seen since Feb' 2007), if only to mark a short term equity top, but more viable after the Jackson Hole event of Aug'26th. A sixth consecutive net daily gain - the best run since April 2015, settling +$1.37 (2.9%) at $48.89. The psy' level of $50 is clearly within range in the near term. Any daily closes >$50 will give provisional clarity of a move toward $60 before year end. 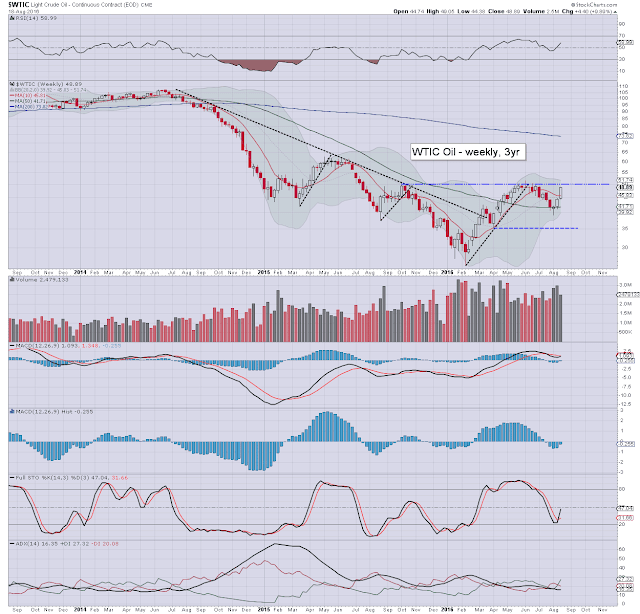 As many recognise, the market would arguably see $55/65 as 'goldilock's price territory.